I cooked the fava beans all day in a 1.5 quart crock-pot. 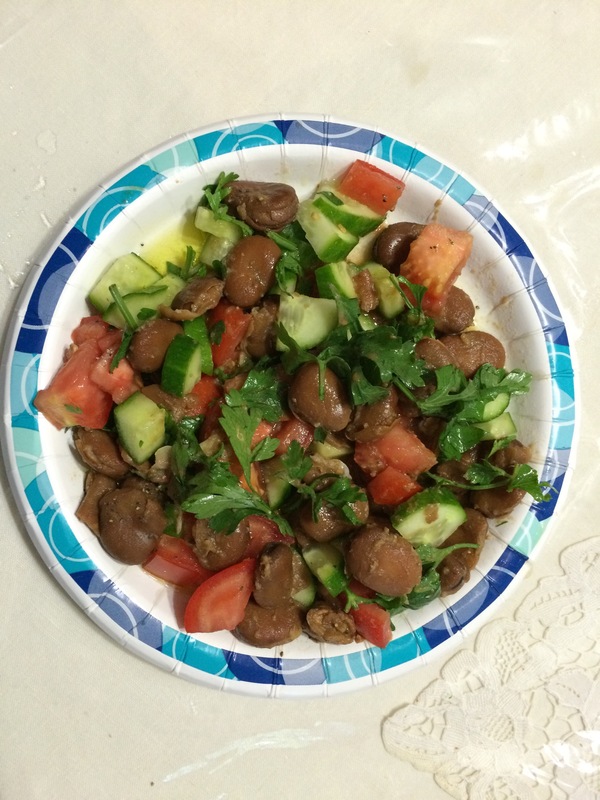 If you want, fava beans can be made in a pressure cooker, 40 minutes to pressure. When cooked, I added the other ingredients. I added olive oil, and fresh tomatoes, and cucumbers. Goes well with rice too. It is! I make it often.